Instructions on how to set up an e~Funds account for Food Service and school fees payments. 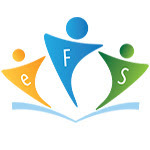 Click here to access e-Funds for Freedom Area School District. Once you have created an account you can access through Skyward Family Access.